Red Bubble fun! 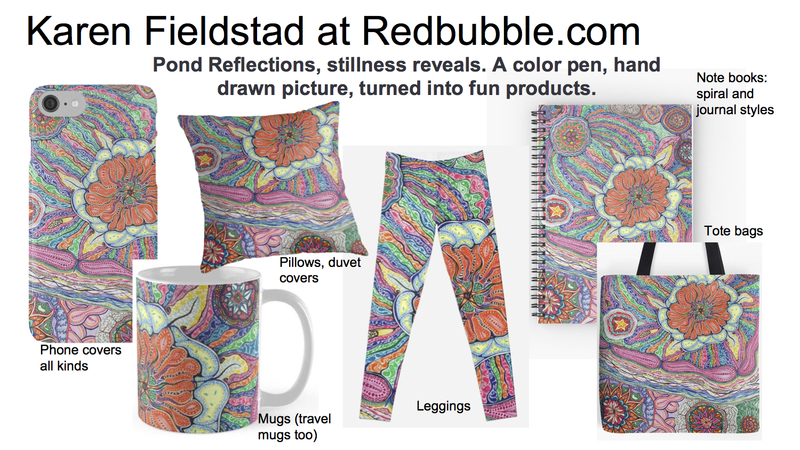 Click Here for Pond Reflections, then click around Red Bubble for some of my other art on stuff. Thanks for looking! Delightful use of color–a joyous design. Love the dots.